Green walls can be used very simply in garden designs and can enhance a space by creating vertical gardens. We usually create planting beds on the ground but this gives us another option by planting on the walls. Ideal in a small city garden where space is limited. You may need to maximise your floor space so can still enjoy all the benefits of plants. These walls can be used for herbs and growing vegetables, once the conditions are suitable. On a larger scale green walls can be used on buildings in cities to combat pollution and flooding. They filter the air and attract wildlife contributing to a better environment. Rain water can be harvested for these walls and the walls can absorb this water before it reaches the ground. They are visually appealing softening harsh city elements. 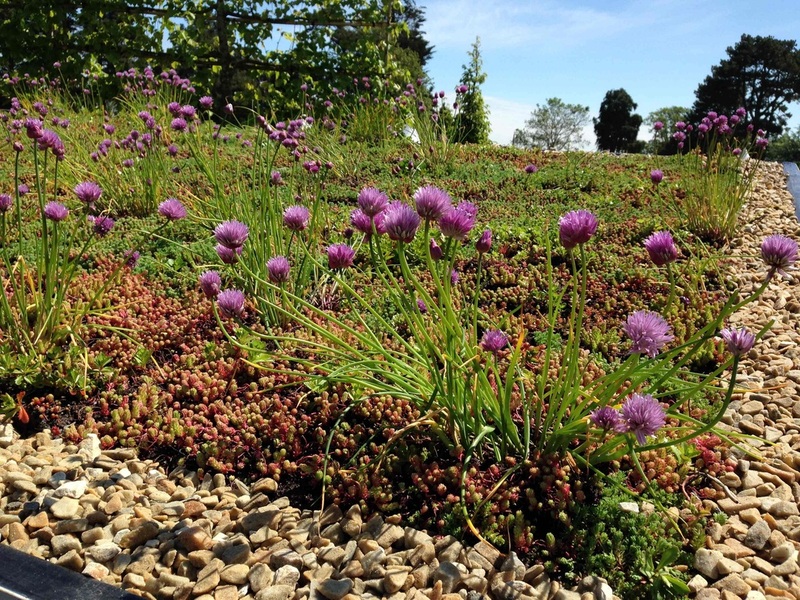 Green roofs can also be used locally in garden design. Wether on a simple shed roof, outdoor room or house extension. They act as an insulation for retaining heat and also keep a building cool in summer. They absorb water before it reaches our drainage systems, help to filter the air and attract wildlife. They are far more attractive that a standard roof thus making urban areas more natural and appealing. Standard roofs are generally dark and absorb the heat from the sun during daylight. When the sun goes down this heat is released back into the atmosphere contributing to global warming. A green roof will not do this! The green roof will absorb the heat.